Should you use Google trends? Don’t have an answer, maybe you haven’t tried it yet. In this article, we are going to show you some path-breaking SEO techniques using Google trends. It is one of the flagship tools by Google which is freely available to identify search and keyword trends. It’s like a master key that can unlock the hidden SEO treasure for your website. You just need to know how to use Google trends and the right approach that can deliver the results you expected. Just give us 15 minutes of your time and we’ll provide you with practical information that you can apply immediately. We’ll only pass on premium techniques for free to make you learn how to use Google trends to improve SEO of your blog. Let’s now see the list of areas that we’ll be talking around at length. Follow the below list. What does the Google trends tool do and why should we use it? What are the Google trends tips & tricks to help in keyword research? How to use Google trends to improve SEO of your blog? Before you dive in to read about Google trends, read some evergreen techniques to improve SEO. With these tips, you can fine-tune the response and rendering time of your blog. Please follow the below article on our blog. 1. Top 7 tips to speed up the performance of any WordPress blog. If you are a blogger and have been thinking how to use Google trends to improve SEO of your blog then this is the guide for you. So let’s go and get started. Google trends tips and tricks for your blog. 1. What does the Google trends tool do and why should we use it? Google Trends is an openly available web service of Google Inc. It helps to determine how often a particular keyword is searched as compared to the total search volume accounted for different parts of the world, and in different languages. It enables to analyze the search data for a timeline and shows trends in graphical form instead of the real search volume. Bloggers can use Google trends for running multiple SEO tasks. They can do keyword research, keyword comparison, niche search, looking up for competitors, finding content, and link building. 2. What are the Google trends tips & tricks to help in keyword research? The use of Google Trends is quite simple and logical. You just open its URL in the browser and start by supplying a search term or topic in the query box. It comes with multiple options that are available on the Google trends screen. We’ll now see how to use these options to achieve the output we need. a) Google trends – Query box. We choose to start with the query box because you can’t ignore the power of this slimy input element. You just need to harness its full potential to attain the optimum efficiency. If you want to test the significance of a particular keyword in the present scenario and need to assert its consistency from the past usage. Just put the keyword in the query box without tinkering with the default options. It’ll show you the keyword trend pertaining to the default timeline and would give you clear picture of the keyword status. Next, you must note that you can at most use up to five keywords or keyword groups at one time, with up to 25 keywords in each group. Follow the below example. web hosting + WordPress + theme (group A). WordPress plugin + Yoast + SEO (group B). social media + content promotion (group C). The + sign instructs Google that you like to group searches for web hosting or WordPress or theme. Using Google trends for keyword research comparison. Let’s now check out the other options that are present on the Google trends screen. b) Google trends – look up zone. You can limit your hunting zone by choosing the default, or country wide, or state, or you can be precise by selecting a city. c) Google trends – result timeline. You can shrink the search timeline by choosing from a predefined set (past hour, past day, past 7 days, past 30 days, or past 12 months, etc.). If none of it suits you then selecting a custom period is also worth an option. The default timeline dates back to 2004, which does the job in most of the cases. 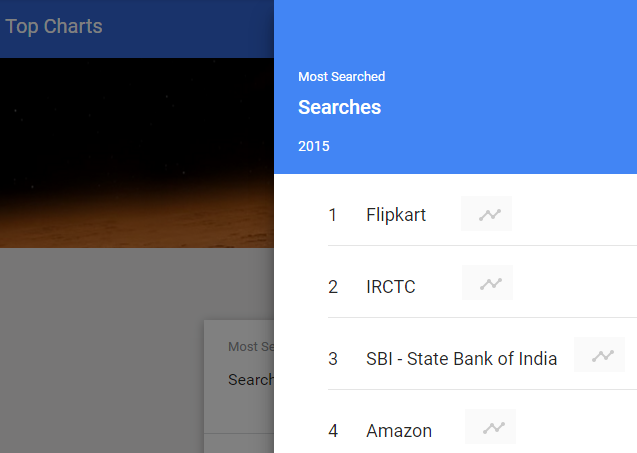 d) Google trends – Category. You can also cut down the terms and search volume to your desired category. With this feature, you can observe the specific trends and reveal fresh themes/searches. e) Google trends – target engine. Another important filter is there to refine your results based on Web, News, Video and Shopping search. It leaves you with greater flexibility in selecting the brand and vertical. Its intent is to give you results closer to your expectation. Google trends tips and tricks. If you refer the trend chart of the keyword sample that we’ve used above, you could find a more popular keyword. The data is pretty much what we expected. You can sense the clear winner is the blue line i.e. the combo of web hosting and WordPress keyword. So, how come all this data can help us in SEO? Here are some ideas for better content creation, niche selection and more SEO stuff where you can use Google trends insights. 1. Use Google trends for spotting right niche market. A niche market is a market entity on which a specific product is focusing. You can further classify a market into logical market sections with specific interests and demographics. For example, the fashion niche is huge. Within the fashion niche, you can find its subsets like the ones which are in skin care products, hair loss products, weight loss, artificial jewelry, and more. You can even further drill them down into tier-2 niches such as “hair removal products” or “surgical hairs”. Some of these tier-2 niches can be highly profitable. So, it’s worth doing some analysis to determine if the one you are passionate about has profit potential. Here we’ve run an illustration of 5 different niche segments and any one of you can easily pick the segment which has a higher market share. But it’s not always advisable to go by the numbers instead you’ve to choose the niche diligently and pick the one that strikes you. For the illustration, we’ve used the following niche segments. Use Google trends for niche selection. And as we’ve mentioned earlier you can narrow down your search by grouping specific keywords to find out the niche of your choice. And you can filter out based on location if you are planning to enter into the travel segment. Also, you can analyze the top/rising topics and queries before finalizing the keyword selection because it’ll help you to improve SEO for your blog. 2. Use Google trends for a profitable keyword research. We’d earlier mentioned that Google trends tool represents the search interest relative to the highest point on the chart not with the real search volume. So it is best to use Google trends in combination with the keyword planner. Google trends will provide you the leading keywords which you can verify with the Google keyword planner tool. Use Google trends for keyword selection. In order to understand, what potentially drives more traffic or help to improve SEO? You may need to review the “Related searches” section from the Google trends screen. Here, we’ve executed a Google trends query for “WordPress theme” keyword. From the trend chart, you can depict the steady rise in the keyword interest. But the actual keywords that the people are searching for are “free WordPress theme” or the “best WordPress theme”. Please review the attached screenshots for a detailed view. Use Google trends for a popular keyword. 3. Improve SEO by localizing keyword search. For this topic, we’ve input the “blog” as the search term in the Google trends query box. Here we want you to learn that Google Trends breaks down the search data by location and subdivides it further into town or cities. As you can see below, there is partial interest in “blog” across the entire U.S., whereas most of it is coming from the Sterling and Seattle. Use Google trends for localized search. 4. Inherit content idea from the Google trends Top Charts. Top Charts is the another little-known feature of Google trends. But it is one of the best resources for developing content ideas that people are actually interested in. You can refer the below snapshot of Top Charts where Flipkart and Amazon keywords are trending. You can click the “Explore in-depth” icon just next to the keyword for the quick summary. Use Google trends top charts feature. Looks like a blog post about the Flipkart and / or the Amazon affiliate would grab interest from the readers. Next, you should remember whenever you go on to exploring for a particular keyword. And the term “Breakout” appears under “Rating”, it indicates that the phrase has sprung up by +5,000 percent. 5. How to spot a viral video content using Google trends. No doubt, the killer textual content, and the popular keywords play a major role in boosting the SEO of any blog. But if you are able to locate and link to or produce a viral video content related your niche that would be the best thing you could do for bettering the SEO of your blog. Use Google trends to spot viral video. For this illustration, we’ve used the “WordPress” as the search term. The trend results are unprecedentedly steady for this term from the year 2009 and onwards. To produce the best result, we’ve switched our engine type to “YouTube Search” and selected the region as “United States”. Now observe the “Related Searches” section carefully as you use this data for video optimization. Here, you have the right set of topics which you can use to choose a great title for your video. And from the “Queries” subsection, pick the most popular keywords that you can add in your video meta description as well as apply them as tags. 6. Real-time Live Blogging to gain on SEO. Real-time live blogging is a new way for real-time contents delivery. Live blogging is basically just posting regular updates to your blog as the event is taking place, rather than blogging about it after the fact. It can be a very valuable resource to your readers if done right. Let’s now see how you can use Google trends to help in real-time live blogging. Google trends make you its contents (trends chart) embed in your page. which help you get the best search engine optimization. Note: You can do that by using the Embed button given beneath the chart. Clicking it would generate the HTML code you need to add on your site. It also allows you to subscribe to the hottest topics as and when they occur. It would be more useful when you have G+ configured on your mobile phone and pay attention to the live alerts. It offers a Trending Searches feature which you can use to choose a topic from and blog in real-time. You can also dig into a particular event using the explore in-depth option of trends to list out the top keywords. If you don’t have time to blog, then you have the option to instantly share the live trending content on social media like twitter, facebook or G+. 7. Brand monitoring to add another star in your SEO status. Brand monitoring is a digitize analytics process designed to analyze various channels on the web or media in order to gain insight about the company, its products, brand, and anything directly related to the business. It is about tracking the brand’s status and reception by the general public and the consumer base and targeted demographic. If you are a website or a blog owner then there is one factor that you should care about is the Domain Authority of your site. It’s one of the best online indicators which makes your blog shine out of the crowd from the sites in your niche. We’ve also put in a lot of efforts in a planned manner to improve the DA of our blog. And we’ve recently shared an article covering all the practical tips and techniques that can help in raising your DA and also teaches you to sustain it over a long period of time. Please refer the below post if you are interested. 1. A-Z Guide to improve Domain Authority of your blog. Now coming back to the current topic, we insist that you should keep a tab on your brand status more frequently. And you would have understood by now that Google trends tool is really good at tracking. It can tell you how your brand is faring against your competitors. For example, let’s plug in some popular social media platforms as search terms. We used “Reddit”, “Pinterest” and “Google+” for this sample. We didn’t add “facebook” and “twitter” into the sample because that would have turned the trends in favor of the two biggies. And that would have put us off the topic. Use Google trends for brand monitoring. Now, just see the big spike in searches for “google+” during 2011-2013. Impressed, oh not exactly, because if you compare it with the other two (“Reddit” and “Pinterest”), you’ll get to learn that a spike in searches doesn’t always translate into success for a company or website. We wish that the Google trends tips and tricks would work the same for you as they’ve helped us improving the SEO of our blog. Because all of these efforts would result in driving more traffic to your blog. In the end, all of us must thank Google for bringing such a tool and that too for free. As it’ll assist in keeping your blog alive, will make your blog posts more realistic. If you haven’t been using this tool for SEO purposes, then you must give it a try now. Before we close for the day, we appeal the readers to share this post with their friends and on the social media platforms that interest them most. Enjoy reading and keep visiting.